PfCO Online Commercial Drone Training for £625 + vat! 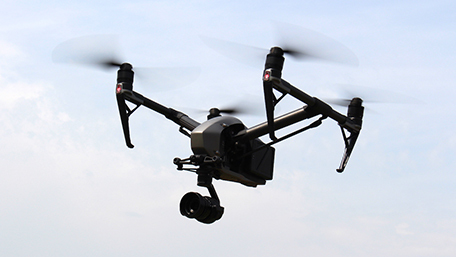 If you want to use Unmanned Aircraft (Drones) for any purpose where you will receive payment or valuable consideration for your work, you require a ‘Permission for Commercial Operations’ (PfCO) issued by the UK Civil Aviation Authority (CAA). There is no way round this! 3iC delivers the most simple and flexible CAA accredited PfCO training solution in the UK. Our unique commercial online drone training course will help you to quickly obtain your PfCO licence and get your drone business off the ground. We have no hidden charges! Online Drone Training – Get your drone licence! With our fully Online PfCO Commercial Drone Training course, you take control of your online drone training. 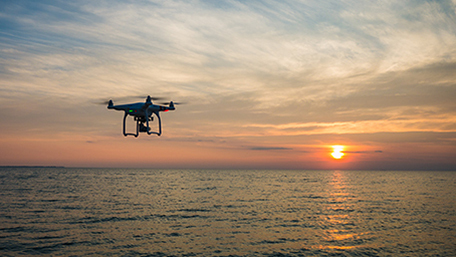 Unlike other drone training providers, there is no need to wait for a scheduled course to start and no need to take time off from work; you can start your PfCO drone training course today. Learn whilst at work, home, anywhere or at anytime you wish. 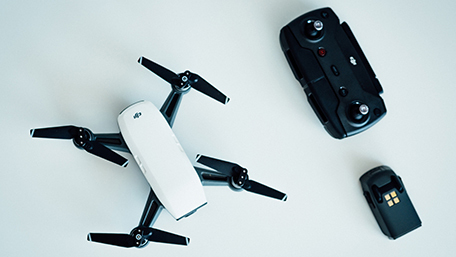 Start your commercial drone training online today! Once enrolled onto our commercial online training course, you will be allocated a personal tutor who will guide and support you from start to success! We make our PfCO Online drone training as personal as we possibly can – it really matters to the team and our drone tutors! Check out some of our client feedback; they loved our flexible and fully supportive approach. No need to use up your holidays, as you can even take the required flight assessment on a weekend. Our approach to commercial drone training comes from a team with extensive experience in the field. There’s no need to use up your holiday, flexibility is important to our clients, so you can even take the required flight assessment on a weekend. If you would prefer a classroom based PfCO course, you can now enjoy the same high-end learning experience with our team of highly experienced instructors by opting for our ground-school course. Our instructors are all commercial drone operators with real world experience of just what you may face when you qualify as a remote pilot and bring their years of practical experience into the classroom environment to mix with 3iC’s industry renowned PfCO Course and to engage with you in a range of practical exercises designed to prepare you for commercial operations. We really care about the quality of our drone training course and will work closely with you to ensure that you are fully equipped to successfully gain your PfCO. 3iC provides clients with specialised expertise in both technical and business management consultancy. 3iC supports clients by providing carefully selected and highly trained individuals or teams of operators, for worldwide deployment. If you are looking for flexible, professional and personal PfCO drone training, this really is the course for you! 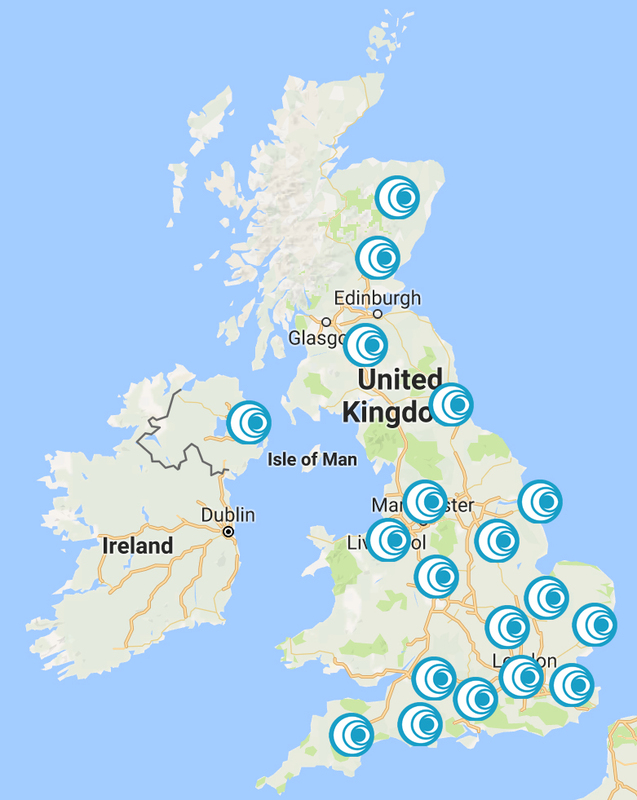 We have flight testing facilities all around the UK – Aberdeen, Basingstoke, Belfast, Bradford, Bristol, Cambridge, Cannock, Chester, Devizes, Durham, Edinburgh, Exeter, Hull, Ipswich, London (Wembley), Maidstone, Manchester, Milton Keynes, Nottingham, Perth and Weymouth. Completing the flight assessment and Commercial Operation application with Bob at 3iC, has been a thorough and exacting assessment of my ability to plan and operate commercially. Accordingly I now feel well prepared for my first commercial assignment. Thanks Bob and 3iC! 3iC provided a comprehensive training course and good industry guidance which set me up brilliantly to start my career in the industry. The team was friendly, knowledgeable and always happy to help. I already have recommended their services and wouldn’t hesitate to do so again. After speaking to a number of NQEs, I chose 3iC Ltd because of the ability to cover the initial modules from home, and at my pace, rather than blocking a week or more away from my current job. During the modules one of the 3iC team was always available to answer questions, either on the phone or via email and their in depth knowledge of the subject matter was obvious from the start. This applied equally to the advice and guidance given during the development of my Operations Manual. The final practical assessment was well briefed in advance and I felt that the level of questioning during period was thorough but fair. I would wholeheartedly recommend 3iC for anyone considering their first steps into commercial UAS flying. “Right from my first phone call, the 3iC team made me feel I could become a CAA approved pilot. I found the course easy to follow; it was great that I could do it at my own pace and in my own time as I have a busy work schedule. I found Bob Gillan, my direct tutor, always ready to help and guide me in the direction I needed and gave me the confidence to take my online course and flight assessment. The final theory exam was fun and held in a relaxing atmosphere which took the nerves away. Just passed my PfCO, I thoroughly recommend 3iC – Great online course , replies to emails were very quick and efficient. Special thanks to my instructor, she put me at ease on my test and has a really nice way about her and had great patience with me in the freezing cold, Thanks! Five stars it is! When looking for a company to do my PfCO, I wanted a company who would be flexible as I have a job that is very demanding and takes up a lot of my time. As soon as I looked at the website and then contacted 3iC by phone, I felt that they were the only choice. The online course was brilliant allowing me to work at my own pace; the online tutor was excellent adding an element of humour whilst at the same time drilling home the knowledge that I needed to be successful. My assessor made me feel at ease and I was very pleased when I passed the course. If I were to recommend a company to successfully complete a PfCO it would undoubtedly be 3iC every time – truly remarkable!